Waterford, Mich. – Pentastar Aviation is proud to announce a strategic alliance with Dallas Jet International, LP., a premier aircraft brokerage firm. The alliance allows Pentastar to enhance their range of aircraft sales and acquisition services previously available to customers. Enhanced aircraft brokerage services also create the opportunity for Pentastar to connect with a wider range of aviation companies. Both Pentastar and Dallas Jet are planning to work together with industry peers to create optimal solutions for individuals in the business aircraft market. In addition to increased aircraft brokerage service capabilities, Pentastar continues to offer aircraft management, charter, maintenance, avionics and FBO services. For nearly 50 years, Pentastar Aviation has been a leader in the world of business aviation. Pentastar Aviation provides award-winning aircraft maintenance, aircraft management services, aviation advisors, avionics design/installation/repair and aircraft charter through Pentastar Aviation Charter, Inc. Pentastar’s repair station received Airframe Class 3 and 4 Ratings from the FAA in January 2009 and boasts one of the most expansive and well-equipped facilities in the nation. Pentastar’s world-class FBOs at Oakland County International and Van Nuys Airports provide exceptional customer service and amenities to regional, continental and global travelers. About Dallas Jet International, LP. Our unrelenting focus is on the buying and selling of business aircraft in an international marketplace. The purchase or sale of an aircraft requires the utmost in deliberation and risk management. While we are often labeled brokers, our clients call us trusted consultants. Our knowledge of the aviation industry, aircraft systems and equipment, and day-to-day market conditions is unparalleled. Our combined experience of over 100 years in corporate aviation speaks for itself. Join Dallas Jet International as we move into the aviation future and raise the bar in aircraft transaction consultation and aircraft brokerage. All of our clients hire us for one reason: they trust us to provide sound strategies and guidance in the purchase or sale of their business aircraft. We are committed to integrity and intense customer focus and our expertise is unmatched in the world of aircraft transactions. We challenge all of our prospective clients to spend time with competing firms and then to spend time with us. We know that if you give us the opportunity to serve you, it will become a lifetime relationship in the very exciting world of aircraft ownership. 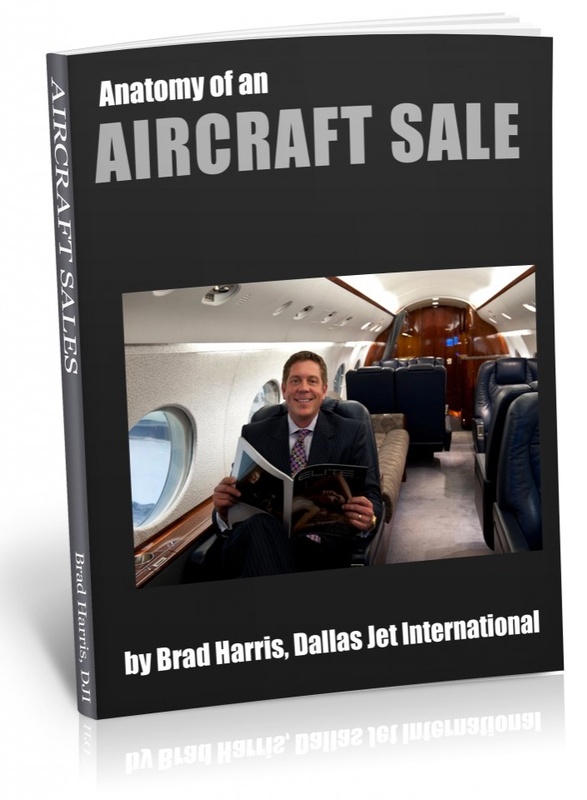 You are currently browsing the Aircraft Sales Insights blog archives for November, 2011.